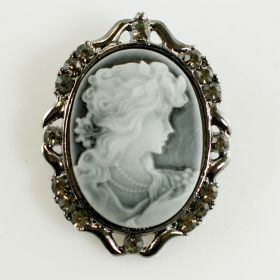 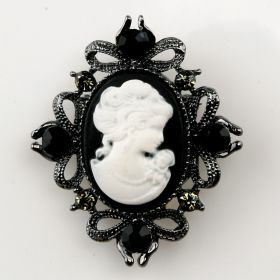 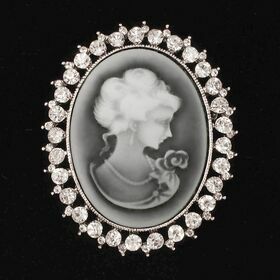 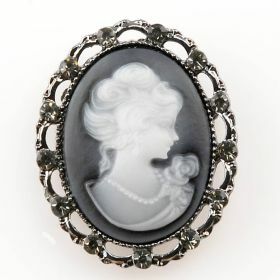 Cameo Brooches are made of quality rhinestones and a variety of materials. 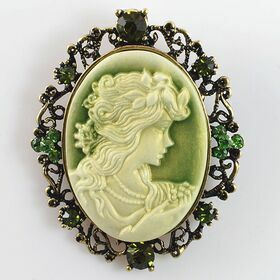 Brooches color come with coffee, green, puple. 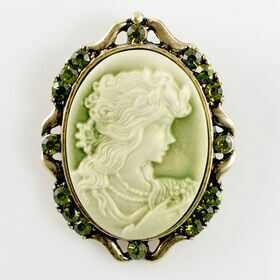 Metal base are plated in antique color. 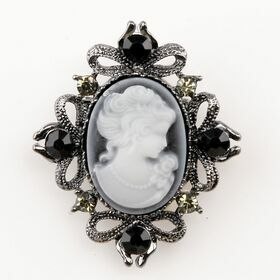 It is ideal for decoration design purpose.